" Words can&apos;t describe how beautiful everything was this past weekend. Jas was on top of things, everything was done on time and done so elegantly. Customer service went above and beyond expectation! Will definitely rebook fusion bollywood again!!! " " We had the pleasure of having DJ sandy play at our engagement party and we could not have been more happy! He had our guests on the dance floor the entire night and we can&apos;t wait to hire him for our wedding. He had an excellent selection of dinner music and knew exactly what to okay for each ceremony. Highly recommend him for any event! " " The quality of the service and design was exceptional! I would highly recommend their decor to anyone seeking professional backdrops - their selection and final product exceeded all expectations! " "Jaz did amazing decor on my daughters wedding.It was beyond expection.We will definitely refer to our friends and family." "Wedding planning is stressful but Jazz and his team was great help in coming through. Wonderful decoration and amazing DJ. Thanks for all your help." "I just want to use this opportunity to say a big thank you to Jazz and his team at Fusion Bollywood. Thank you for making my son Michel's 1st birthday exceptional. You were patient and considerate to my demands/budget. You went above and beyond to ensure that my needs were met. I can't forget how you had to wait for over 3 hours because I was at airport to receive my parents who came all the way from Africa. This is my second time working with you and I must say, you are a very pleasant guy. Thank you so much till June when I celebrate my 30th birthday." "Jas and his team did an amazing job for my 18th birthday! He was so kind, listened to my ideas, and knew exactly what I wanted and executed everything so perfectly. I would highly recommend for anyone who needs a decorator for events." "We had a great experience with fusion bollywood. Our wedding decor was absolutely beautiful! And I would definitely recommend fusion bollywood to anyone looking for an event decorator." "I have been dealing with fusion bollywood since last year planning my wedding. It has been an extreme pleasure dealing with Jazz and his wife Ramandeep. Both of them are very accommodating towards our requests. I find them not only professional but punctual in getting back to us. I look forward in using them in the near future. I highly recommend using Fusion Bollywood for any decoration needs." "These guys are hands down one of the best! They are very good at what they do and have a lot of experience working with different venues in town." "Where to start... amazing service, extraordinary decor, they made my pre-wedding at my house magical. Couldn't have dreamed of a better experience all together. 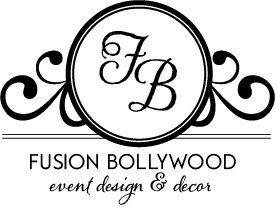 Definitely recommend fusion bollywood Inc."
"I hired Fusion Bollywood for a birthday bash, and their service was exceptional. Jas is very professional and accommodating. Every step of the way, he was huge help, and offered great customer service. Hiring Jas saved me a huge headache, as he took care of the whole event for us. I would not hesitate to recommend him for an event." "The design Fusion Bollywood produced for the backdrop, headtable, signing table, and entryway for my wedding reception was truly amazing! Even the chair sashes were tied in a unique way I'd never seen before. They definitely went above and beyond my expectations. All for a reasonable price. Thanks!" "The team at Fusion Bollywood was easy to deal with from our first meeting to our last. They helped me plan all the decor for my sons Bar Mitzvah party and went above and beyond to help create the the look I was going for. When my son walked into the room for the first time, he looked at me and said "mom, it's perfect!" I would definitely use Fusion Bollywood again and recommend them to anyone looking for a decor company." "My sister recently got married back in August 2016 so we hired bollywood fushion. Jazz arranged numerous meetings with my sisters and I and made sure that every meeting provided and lived up to our expectations. He not only took extra time to explain every detail but gave us options to make this wedding amazing. We hired bollywood fushion for 2 days and both days we were left in awe because of the set up, and the way they portrayed all of our wishes and desires in two days without any complications. Every guest that came asked us about the decorations and we happily informed them of bollywood fushion. Even to this day we get calls from our guests constantly complimenting everything about the two days. These guys are the best not only for decorations but for the outstanding customer service and the DJ services. 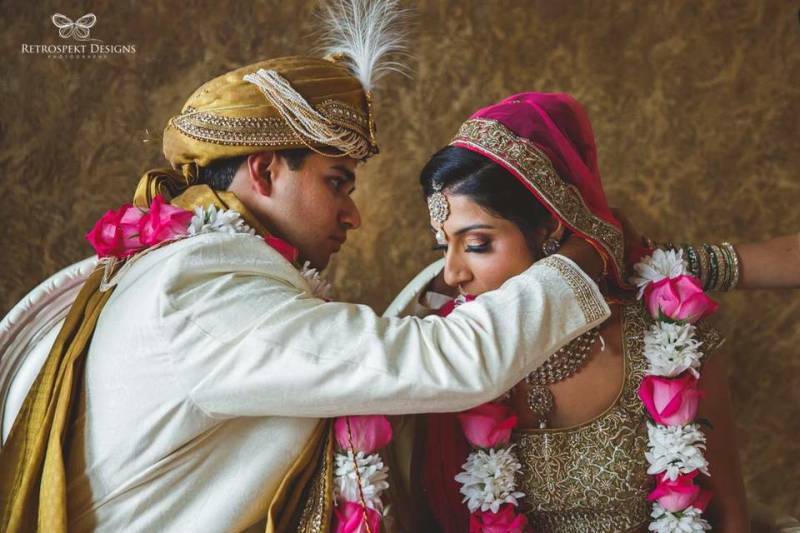 I recommend bollywood fushion for every individual in Calgary that wants all of their expectations and wishes for their wedding day to come true. Thank you for the amazing service, I'm sure I will contact Jazz for any upcoming events." "The quality of the work was excellent and the job was completed in a short amount of time. Well done fusion Bollywood. The only concern I have is the pricing of the package, which was a little high." "Thank you so much for the fantastic job you guys did last night!! My guests and I were all blown away by how gorgeous everything looked I'll be recommending you in the future! Thank you!!" "Fusion Bollywood is great!! Jaz is so nice to deal with , he definitely makes your planning a lot easier. I highly recommend fusion Bollywood because I definitely will be contacting them for any future events." "Fusion Bollywood did our decorations for our ceremony day 2 weeks ago. Even tho he didn't have much time as our guests started to arrive and we couldn't get the place to open any earlier he managed to remain calm professional and very polite. I was very satisfied with the decorations except for one small thing which was the silk floral that we had on our main table was very dusty. Overall though we were very happy." "Jaz was amazing and professional! He helped my fiance and I from start to finish and even asked us after the event how was everything! Would recommend to friends and family!" "I hired Bollywood Fusion for my charity event, and Jazz was awesome to work with! Jazz helped our team as much as he could price wise since we are a non profit organization. In the end, the event was canceled, and he was completely understanding continuing to help us through the cancelation process! I would recommend Jazz and his team for any event decor!" "Thank you jazz and his team for making my dad and the family happy with the decoration you did an amazing job out expectations was met and it was very nice we had a lovely royal wedding thanks guys for everything he and his team are highly recommended for decorations for home and weddings thank you Bollywood Fusion"
"I was very impressed with the way jaz and his team decorated my brothers wedding everything was perfect from the hall to the house everything we asked for was done and it was fantastic. Very well recommended and I will definitely use him again for my future wedding thanks bollywood fusion." "Awesome work done by Fusion bollywood for my Brother's wedding at Empire Banquet Hall, definately recommended!!! Not only that after we had our Baby Girls first Birthday party they showed us great ideas on deco!! But unfortunately our party got postponed & I thought that now my deposit is gone in the garbage but they helped me soooo much that all my deposit came back as soon as we told them about our plan !!! Give them a try before going anywhere else. They take all your stress away with their quality work not only that they make your special day more special." "Fusion Bollywood did the backdrop for my Bridal Shower. Amazing and breathtaking are the two words I'd use to describe the design. They definitely exceeded my expectations. Thanks!" "We had an amazing experience with fusion bollywood.They did the decoration in short notice plus their customer service is very good! Looking forward to be in touch with them for more family events. They added bright colours & shine in my brother's wedding. We all loved their great work! It was just LOVELY!!!!" "We had a wonderful experience with Fusion Bollywood. Super friendly and really prompt and flexible service. We had a small wedding at our home and everything looked absolutely fantastic!" "Great service. Decor was lovely, with good sized backdrop. Would definitely recommend to anyone wanting to dress up their venue. Reliable, a great job!" "Bollywood fusion, took the stress away from me when i contacted jazz. I gave them a weeks notice and it took me 30 minutes to pick out my decor and they created my wedding as it was a royal event. Honestly if it wasn't for them my wedding would not have happened. Jazz told me, even if i gave him a nights notice it will make it happen. Thank you Jazz, and Bollywood fusion, for making my wedding an amazing event and everyone loved every single decor you provided. Thank you once again! HIGHLY RECOMMENDED"
"Words can't describe how beautiful everything was this past weekend. Jas was on top of things, everything was done on time and done so elegantly. Customer service went above and beyond expectation! Will definitely rebook fusion bollywood again!!!" "Jaz was able to attend to our needs immediately. We planned our wedding decor a few months before the actual events and they didn't drop the ball. They stuck to their word and rectified any issues that came up. I would highly recommend anyone to use their services when planning a wedding or party. The dholi (carriage) was awesome and my wife looked like the true queen that she is." "Bollywood Fusion did a great job decorating the venue for the sangeet function. It was colorful and beautiful. They took special attention in selecting the right colors for the stage backdrop so it was not clashing with the bridal sangeet dress. They were punctual and very reliable. Need no supervision. The DJ (Sandy) they provided was excellent and professional with great selection of songs. All the whole they provided a good value for the package. It was one stop shop experience with Bollywood Fusion. I highly recommend theor service." "FusionBollywood (Jaz) did an amazing job at our wedding and would recommend them to our friends,family and others to go with them. Thank you Jaz your the best"
"We hired Fusion Bollywood to do the back drop and decor at our wedding ceremony and reception because we loved Jas and his great attitude. When our wedding day finally arrived, he did everything he could to make sure our day went off with out any problems, including getting us one of the best DJ's (DJ Sandy) in Calgary on short notice, when my DJ dropped out just days before the wedding. All I can say is Life Saver. Jas was great to deal with, he has great prices and even better service. He made us feel comfortable every step of the way, and he was great working with our other vendors. On top of all that his work was amazing. I can't tell you how many complements we've received about his backdrops at both the wedding and reception. I highly recommend Jas and Bollywood Fusion to any one and everyone." "We have arranged an engagement party event with Fusion Bollywood on sep 01. Their decoration set up was really good, price was decent and DJ was awesome.Highly Recommend." "Fusion Bollywood is one of the best wedding decors in Alberta. Jaz is super nice, professional truly an amazing person to work with. He made our event so ravishingly beautiful, not only he was able to create the vision both my Husband and I had for our reception but also guided us throughout as to what could be better. He was extremely patience and polite in handling all sort of questions or concerns we had regarding the set up - Our reception was one the most memorable night for not only My husband and I but for all of our close family and friends, Everyone loved the set up- He did an amazing job for the backdrop- color theme- lighting ambiance (It was really beautiful & elegant), We were in love with the center pieces- His way of handling clients shows real true passion, genuine care for clients and real desire to be in Event Management/Wedding Decor Industry. We are really thankful to Jaz and his entire team at Fusion Bollywood for taking care of all the decor and set up to make our reception so magical and unforgettable- Thank you Jaz for your time and help. I would definitely recommend Fusion Bollywood to everyone in Calgary, AB." "The decor was beautiful and high quality, we received many compliments from our guests. We would definitely recommend them and will use them for future events!" "The decor was beautiful and high quality, we received many compliments from our guests. They were very knowledgable and a huge help with picking out the right items for our vision. We would definitely recommend them and will use them for future events!" "Jas and his team are great!! they did a fantastic job with all of the decorations, and are wonderful people to work with. Very diligent, flexible and talented. Love your work!!" "Jaz was an incredible decorator to work with. He took into consideration all the visions we had for our reception and truly respected them enough to turn them into reality. He was quite receptive when we did want to deviate from plans and had the hall ready in advance of the event. My primary reason for picking him was because he was a reputable Indian decorator who did not try to upsell me on first visit. My reason to hire him again would be his ingenuity for the project, knowing what would be good additions and what would come off as poor taste. I would highly recommend him." "The quality of the service and design was exceptional! I would highly recommend their decor to anyone seeking professional backdrops - their selection and final product exceeded all expectations!" "We hired Bollywood Fusion,Jazz and his team a few weeks ago. They did the decor for three of our events. Amazing decor, quality work and thorough professionals. A few ladies even checked out the decor who were attending another event. The Asiatic lillies were beautiful,making our events a day to remember. I highly recommend jazz and his team." "Jaz did an excellent job decorating for our Igbo day event last weekend, his backdrop was phenomenal! He does a professional job and I will recommend him and his team anyday!" "I would highly recommend this place to anyone that needs decor for an event. I hired fusion Bollywood in August 2016 and there are will to working with any size of Decor projects. I did see few 1s on the Google reviews but now it's safe to say they are false reviews. Jas and team did really good job. Thanks you"
"We have used Jas's expertise for the post-wedding reception (Walima) of our younger brother this Sunday. Jas was a consummate professional, was completely cooperative and met all our requirements. He also advised us when he though some things were over the top, and correctly so. The decor was genuinely outstanding. When we entered the hall to check it before the function started, our jaws dropped! Many of our guests not able to help but ask who had arranged everything, and we were more than happy to tell them! We would highly recommend their services to anyone needing them." "This is Jan and i want to take this time to let you know that jaz did an amazing job in our wedding and couldn't have asked for better a decoration. your work was mind blowing. Would recommed him to all my friends Thank you"
"This past Saturday was my engagement party, the first one in my family. Jas did a breathtaking job decorating the hall exactly the way I have imagined it growing up. Jas was so understanding and very well experienced. He has taught my family and I so many new things regarding hosting a party this big and introduced us to so many new ideas. Everybody had nothing but great things to say about Jas and his teams excellent work. Jas has the biggest heart, he was never pressuring us to do things that we were uncomfortable with or pushing us to go out of our budget. Another thing that we really appreciated of Jas is that even though he was crazy busy he would always take time out of his hectic schedule to sit down with us and talk about our event IN PERSON. Thank you so much Jas for being such a considerate, down to earth and amazing person. We can't wait to work with you again for any future events! :) - Ashley & Amal"
"I want to take this opportunity to say special thanks to Jas and Raman(Fusion Bollywood) for a spectacular work. We hired them for decoration at the wedding reception party of our Son at Civic on 3rd. Their work shows their passion and dedication towards their work. They exactly know their job and are fairly knowledgeable. Very efficiently they did all the decor in a very elegant way as per the demand of the occasion and venue. They did more than what we expected. Thanks Jas and Raman for making this event so beautiful.. I wish you all the success, you have a bright future. I will highly recommend your services to everyone!" "Fusion Bollywood is the ONLY GO TO decor company in Calgary! My fiance and I went there five days before our engagement party as plans were very last minute. Jaz is the man! He helped us out from beginning to end with no hassle at all, had very good suggestions for our vision, and helped create a very elegant and sophisticated look. He answered all our questions face-to-face and over the phone whenever necessary. We will definitely be using Fusion Bollywood for our wedding and reception! And all other events!" "Fusion bollywood did my sisters wedding event with only 3 days notice for a reasonable price. The company made the process simple easy and elegant. The end result was great and we can't thank you enough. I would highly recommend them for your events"
"thank you Bollywood fusion for the AMAZING event last night for my engagement reception at Radisson! It was a beautiful decor with awesome DJ services. Jas did an incredible work and i can't thank you enough. Our night was made beautiful , all thanks to you :)"
"Wow words can't not describe the amazing job Jaz and his team did for my engagement party decor. They went above and beyond my expectations and blew me away. I would highly recommend them! Aside from the amazing work, Jaz was so accommodating when it came to planning and scheduling meetings. He truly listened to what I wanted! Just quality work with excellent service! Thank you Jaz we will definitely be working with you again"
"Had a wonderful experience in 2011, with Fusion Bollywood and can't express my gratitude for their professionalism and timely manner." "Four years ago I had the pleasure of acquiring the services of Fusion Bollywood, their punctuality and professionalism was greatly appreciated and made my wedding reception worry-free and flow smoothly. I am greatly appreciative that even until now July 6th 2016, they maintain a high priority to keep their customers happy." "Just had our wedding on July 2nd 2016 and we can't emphasize how spectacular of a job they did, especially booking out magnolia as well they go as a pair there is no other company I would have hired or have changed it to another company. Everyone's reaction was wow, it's beautiful, without fusion bollywoods team and magnolia we wouldn't have had our magical wedding day. We highly recommend fusion bollywood!" "I had a wonderful experience with Fusion Bollywood for my wedding reception . Jaz and Raman were friendly and efficient. Would highly recommend them for any event." "This past Saturday I held my dad's surprise 65th birthday party. While in the planning stage I didnt know who to contact for decorations, I was recommeded by one of my friends to Bollywood Fusion. I called right away, left a voice mail and within 2 mins I got a call back from Jazz. He made an appointment with me that week; I walked into his office and was completly clueless on what exactly I wanted, what colours would like nice etc. Jazz was VERY well experienced, and explained to me what would look nice and how he would decorate my hall! Jazz is a very honest person, he never pushed me to agree on everything he choose as some decor companies would.. he showed me what he thought would look good and accomadated around what I believed would look good! I recommed everyone to go to bollywood fusion, he is punctual, he gives you a call 3 days before your event to make sure he has all the colours you wanted confirmed, if you needed any changes etc, very friendly, and gives great advise! My dad's birthday wouldn't have looked AMAZING WITHOUT BOLLYWOOD FUSION, its been 3 days since my dad's party and people are still talking about amazing the decor was! Thank you bollywood fusion for making my dad's birthday party the "highlight" of the month, and for all the memories we had created!" "Jas was a fantastic personality to deal with. He will go above and beyond to make your ideas come to life and to give you even more options for your event. He was always very accommodating to meet with and personable. Our event turned out absolutely beautiful and the dance floor, lighting and water features he supplied made it extraordinary. Thank you for all that you have done, I have recommended you to many friends and I'm sure will work with you again!" "He did an excellent job at my son's wedding. Very respectful and punctual person. I highly recommend him for decorations for different events. " "The event was awesome! The decors were perfect! Jazz was just amazing, awesome, and was a pleasure to work with. We recommended you to everyone who asked where we got the decor done from. Everything looked stunning, it was very glamorous." "Fantastic setting, great experience, more than I expected and well within budget. Thanks for a great night"
"This was our second event using Bollywood Fusion. First event was our wedding reception and just recently we used Jas and his team for our Baby shower. Each time we were happy with the results. We got exactly what we asked for if not more. Decor was one less thing to worry about when planning an event. My wife and I would highly recommend Jas, Bollywood Fusion for anybody's next event. The passion Jas has regarding his company shows through his work." "Over the years, we have used Fusion Bollywood for three diffrent events. After having a horible experience with 2 other decoration company in Calgary, Fusion Bollywood's service seems to be flawless. Jas goes above and beyond to make sure things are done right. Durring our last event, Jas had to be out of the country but checked in with is prior to leaving and made sure we had contact information for his staff. His staff were prompt to contact us durring and also after the event. Although I trusted that Jas would return our deposit once he was back in the country, I did not havebto wait as his staff contacted me with in 2 days of our event. Every event, Jas has made suggestions to reduce our costs even though he would make more off of us. Jas is super easy to work with and super easy to get a hold of. Jas has always been our main contact, we have only spoken Raman a few times and there was no diffrence in the quality of customer service. I recommend Bollywood Fusion to everyone and will personally use them for every event my family holds no matter how big or small." "These guys are amazing, the lighting, the flowers and customization for our wedding was extremely well thought out. If you need a verbal confirmation please email me. 10 out of 10. THANK YOU FOR A MEMORABLE WEDDING!!!" "Jas did our wedding reception decor this past Saturday. The decor turned out perfectly and everybody loved it. The guests and those familiar with the venue said it was the best they have ever seen it. The lighting, table decor and all the little touches were great. They saw our vision and knew exactly what we wanted and delivered without a hitch. Thank you!" "Excellent experience with Bollywood fusion, we arranged for this set up last minute and we had the same day service. This decoration made the event more colourful and made my life very easy. The gentleman who came to set up was absolutely friendly and was very organized. Since this experience , I have already booked for more community functions where Bollywood Fusion would play big role in the set up and professional decoration. I would recommend Bollywood fusion for your next event. Great job in making our function more colourful"
"Went to my Friends Wedding recently and was amazed with the Stage Decoration. A good Fusion of lights and curtains making a perfect blend of Indian (bollywood) wedding :). I would recommend Fusion Bollywood to my Friends as I am Overwhelmed with their service, honesty and creativity." 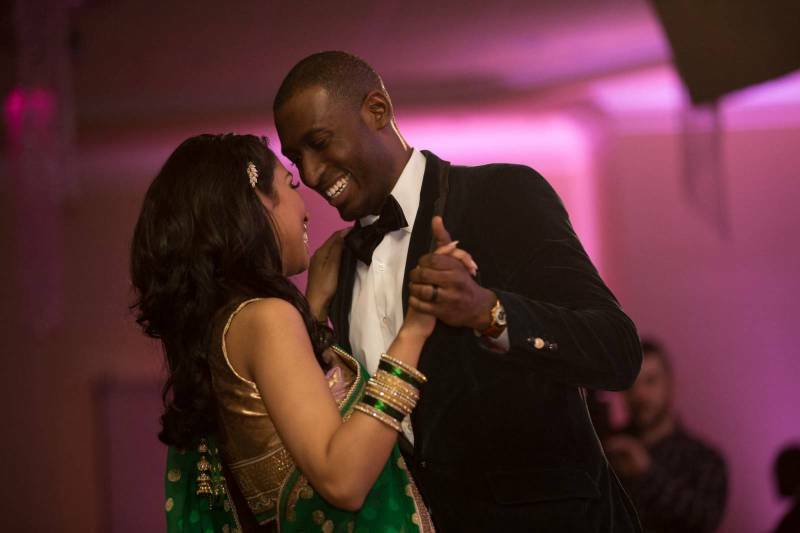 "My husband and I are so glad we chose Fusion Bollywood for our Wedding Reception. Jazz was wonderful to work with. He was going on vacation, but he made sure everything was ready to go, exactly the way we wanted it to be. All our guests loved the decor, and we truly were amazed by how beautiful everything looked. I would definitely recommend Fusion Bollywood: for its elegant decor, and for its amazing service!" "Rented some decor for my destination wedding. Great prices and very flexible. Decorations looked awesome!" "I hired Fusion Bollywood for my Ladies Sangeet and they all have done an amazing job and provided exceptional customer service.Me and our guests were blown away with the decoration and team made my dream come true. I have no words to express myself and I would give team TEN STAR and highly recommend this company as decor and for performing outstanding and going above and beyond.Great Job Team!!" "Raman & Jaz were amazing to work with! They went above and beyond for our Winter Gala in ensuring the decor was elegant and eye-catching. I would highly recommend them to anyone having a wedding, private or corporate event. They are professional, prompt and friendly." "Very beautiful and elegant decoration on my daughter's birthday party. Everyone loved it! Highly recommend for any kind of occasions !!" "you guys are amazing!!!! Everything looked better then even expected. I will be recommending you guys to all my friends!!!!!" "Honestly every wedding that I have been to, I always see cards laying around for Fusion Bollywood. And then came the time for my wedding. Asking around from other clients, I became convinced that Fusion Bollywood does not disappoint.The first event I had them decorate was small so I just asked for my favorite colors and they styled a custom decor for me. I continued to work with them for my engagement in 2014, and all 4 of my wedding events in 2015. Jaz, the owner of Fusion Bollywood has been so reliable through all these events that I don't think twice before calling him to set up another event for me. I look forward to what he will create for my upcoming event next week." "I customized the theme of my wedding and it was pretty unique compared regular decor. It was royal with the touch of mugals theme. I discussed my imazination and what I wanted with Bollywood Fusion and they got exactly what I wanted. I was super happy to see the decor of my wedding the day I arrived at the venue. Overall, I think I made the perfect choice for my wedding and I would totally recomend Bollywood Fusion to everyone for their wedding"
"Thanks to Bollywood Fusion for making my day . They decor my event like we explain them...they also help me to decor my home event too... I recommend every1.."
"Decor was beautifully and professionally done as we expected"
"Decoration was fabulous, Dj was great we all enjoyed. Couldn't stop dancing. Definitely next party with them." "My experience with Jaz from Fusion Bollywood inc has been always amazing..Very respectful and personable.Most recently on October31 for Charity event for Feed A Need.He was so professional, kind and giving.He happily did back drop for free and no hesitation at all,specially he was so busy that day as well.I can't thank you you enough for a beautiful back drop. we had many comment on back. Also big heart felt thanks to DJ Sandy.It has been awesome doing business with you for many years.You Rock." "Jazz went above and beyond our expectations! His attention to detail was bar none. Highly recommend him and his team for your special event." "Jaz at Fusion Bollywood as a pleasure to work with. From the very get go he was incredibly collaborative on our vision for our wedding and took the time to meet us several times. He was even candid enough to recommend against an initial direction that would have been more profitable for him. When it came to executing for our events (three of them) we didn't have to worry about the execution. Everything was delivered on time and to a satisfactory level of quality. I'd definitely recommend the services of Fusion Bollywood." "Dealt with Fusion Bollywood for my wedding reception and then again for my brother-in-law's wedding events. Very professional and accommodating, would recommend to family and friends." "Worked with Fusion Bollywood for my wedding in June 2015 and I gotta say they were amazing company and team. They took their time in showing their inventory both on their website and in house to feel the texture and also provide appointments to discuss alternative way for the venue. The best is that they accommodate meeting schedules that met my needs. The setup was good and they even took the time to show me how the lighting was setup, so in case we wanted to change during the event. During the event there was no malfunctions or any issues with the decoration. The guest provided feedback informing the decorations quality were excellent and beautiful. They have asked for for contacts to plan their future weddings. This company definitely respect their customers and provide above and beyond services to ensure your event is memorable in every way." "I wasn't getting married however this company supported me through a difficult time. Just shows the compassion they have not just for customers but for everyone. Thank you somuch for your continued support. " "Have worked with Fusion Bollywood on a professional level, numerous times, and last year had the privilege of having them as my Wedding Decorators. I am SPEECHLESS at the amazing services they provided. Anytime I called, any questions I had ( I had MANY), they were always there and answered them in a professional manner. I had many last minute changes to which they made the process easy for me as a Bride. They were friendly, and helped me select a decor theme that fit my budget. I would recommend them time and time again, and would only go with them in the future. Thank you Fusion Bollywood for giving me my dream wedding. Decor that captured the ambience perfectly!! SO PROFESSIONAL!!!!!!!!!!!!!!!" "Fusion bollywood made our anniversary unforgettable. the decor was perfect. They worked well with us to give us exactly what we wanted within our budget. I would definitely recommend fusion bollywood to people. Thank you fusion bollywood for making our day even better than we imagined." "Excellent Team - effective and pay great attention to detail. Fast Turning around to meet spontaneous request and ideas." "The decor done for my engagement, as well for the wedding day was absolutely amazing. Fusion Bollywood was right on point, listened to every detail I wanted and was very helpful with any concerns or questions I had. I couldn't have asked for anyone better, They were very pleasant to work with and accommodated my vision for my special day. I would highly recommend them to any one who is looking for wedding decor. Thank you so much Bollywood Fusion for doing such an awesome job." "Booked Fusion Bollywood for wedding reception. Exceptionally accommodating, have to make an appt before going in, very friendly, and prompt replies to emails and questions, would send reminders to appointments. They worked well with us to set up all arrangements for the reception. Dealt mostly with Jazz, very friendly and professional, gave very good suggestions and envisioned what my husband and I were looking for our stage and backdrop. On the day of the wedding, everything came together very nicely, EXACTLY as we had told them and imagined, everyone was in complete awe of our stage backdrop - head table for bride and groom - and all other decor. I highly recommend them for any couples planning their wedding"
"Fusion Bollywood is exceptionally talented & professional company not only they met our decor requirements but exceeded our expectations in guiding us through and bringing together the rich & elegant elements we had hoped for, in a memorable and beautiful way." "Fusion Bollywood team were very professional and helped make our Wedding day everything we dreamed and more. When speaking with Jazz you can just feel his passion about what he does. He was very helpful and offered us professional opinion about what we wanted. When i walked into our venue my jaw dropped i couldn't believe how beautiful everything was. The flowers are stunning as well as the layout and decor. Thank you fusion bollywood and your team for everything"
"The decor you created for our engagement was even more elegant and beautiful than I imagined it. You went out of your way to personally custom-order the pink carpet/runner which I absolutely adored! You also went above-and-beyond to pick each and every fresh rose for the rose petals on the tables. They lasted for over a week! Everyone's jaws dropped when they entered the hall. Thank you for working within my budget to help create the dream look that I was imagining! Very happy with your service and I will definitely recommend you to all my friends/family and bridal clients!!"